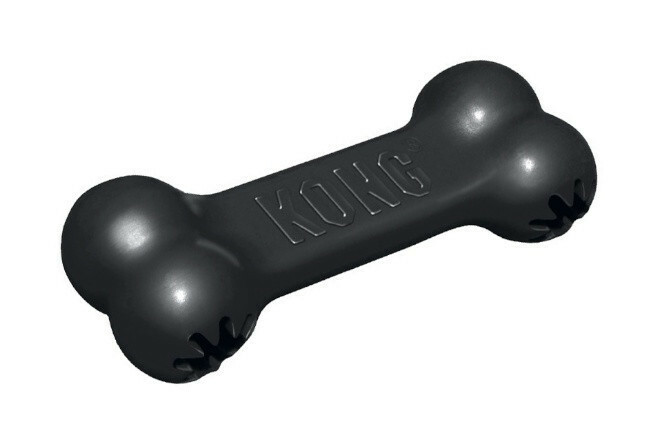 The KONG Extreme Goodie Bone is for dogs that love the classic bone shape, but need a safe and strong rubber toy. The ends of the Extreme Goodie Bone have the patented Goodie Grippers for stuffing with treats or for filling with tasty paste. Bought for Labrador super chewer. Dog loves it. Can put treats in if you want. Our dog was entertained enough to chew on it without. Tough toy, not even teeth marked.